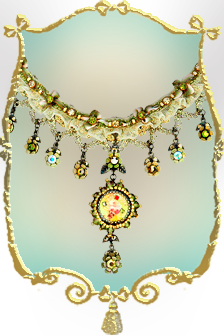 Description: This necklace is a token of the creativity of the designer with its unique ribboned neckline and the hand painted cameo. 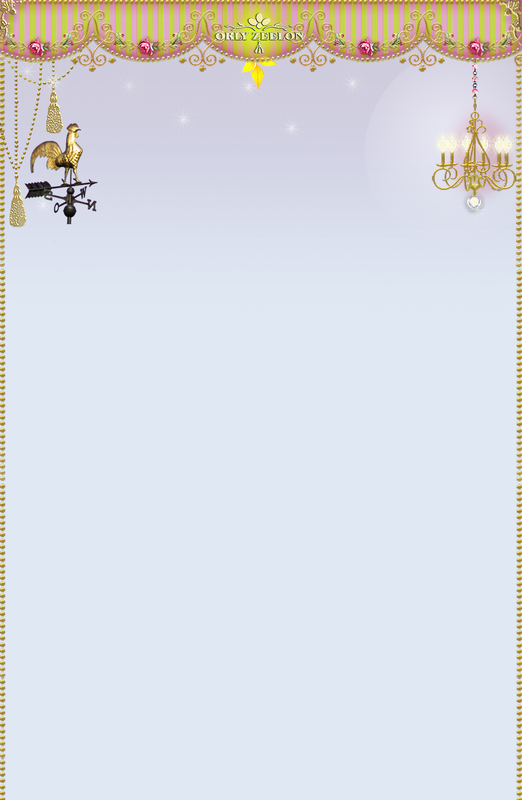 The chain has been accented with a pleated ribbon which has been affixed in place using small stones in brilliant tones. 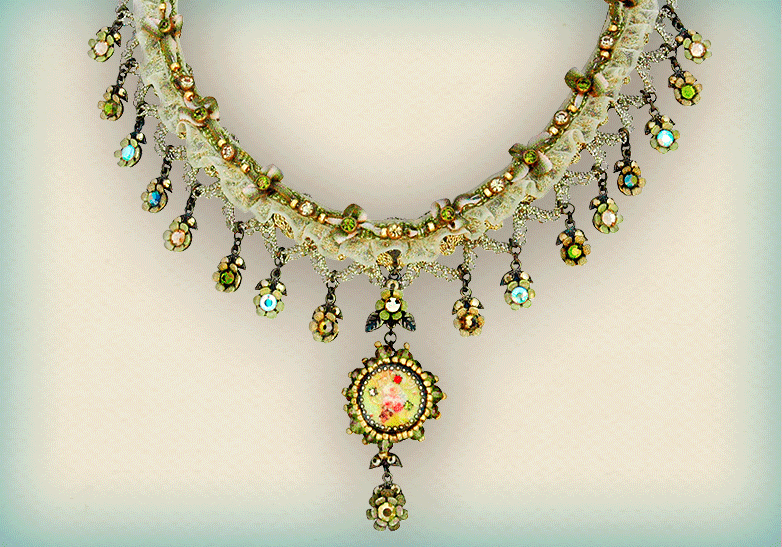 Lace trimmings are used as the base for holding tassels all around the necklace. Tassels have been fitted with small pretty flowers at the bottom which add a sweetness to the design. A center tassel comprised of a beautiful hand painted cameo and a small flower hangs in the center to complete the look.